Those with good memories may recall we’ve been here before: a little more than three years ago, in fact, on the North Coast 500. The then-new Mazda MX-5 ND, fresh from the UK launch event out of Inverness, taken to face the cheapest GT86 that could be purchased at the time, the £22k Primo. Back then the Toyota was victorious, despite being the cheaper car, thanks to its more resolved dynamics and greater driver enjoyment. It was close, but beyond doubt. 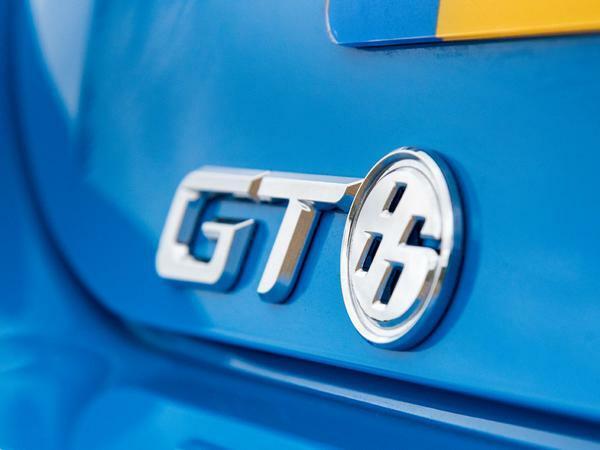 Now though we have the Blue Edition the most expensive GT86 available, here with the optional Performance Pack too - which, if word is to be believed, will need everything it can muster to maintain its advantage over this new MX-5. Faster, better to drive and still good value, could now be the time for the little Mazda to assume top dog status? 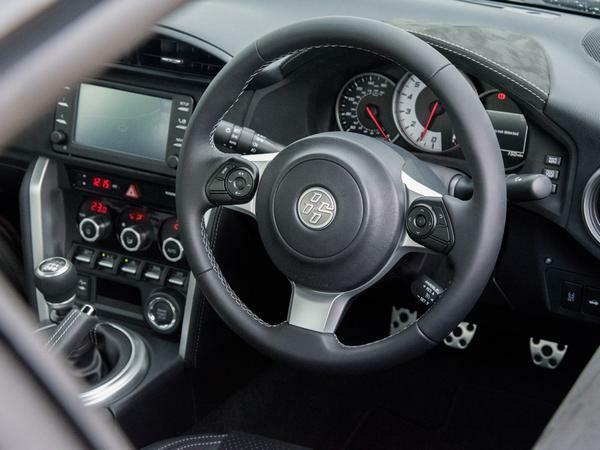 It’s says much for the glacial pace of GT86 development that the car had already been around for three years when this fourth generation of MX-5 arrived; three years further on and the roadster has been overhauled, while the Toyota is still broadly similar. Sure, the 2017 update was pretty significant, but fundamentally this car is as you were in 2012. Can it really be that good, that far beyond improvement? 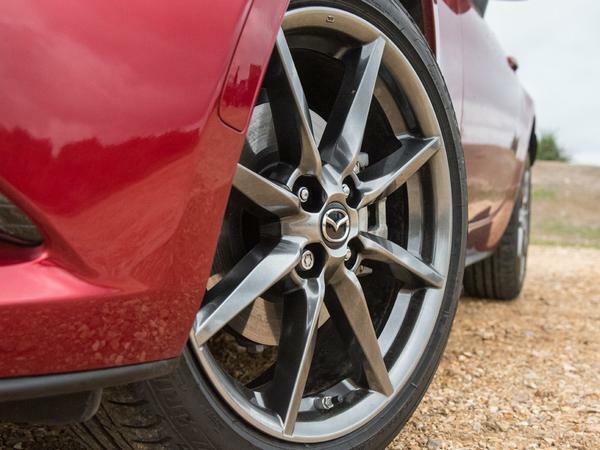 Or will the Mazda prove the benefits of more frequent and substantial tinkering? It isn’t. And you know what? It doesn’t need to be. Those who don’t get the ’86 never will now; what it means for us in the alternative camp is that the car continues to be an absolute tonic in the contemporary automotive world. For driver engagement, involvement and reward, the Toyota can still show up many more expensive cars. It’s the small things, but they’re elements so frequently overlooked elsewhere. The driver sits low with the wheel out, the gearbox is well sited and perfectly weighted, the pedals likewise and the steering wheel, while now with buttons – sacrilege, surely(!) – is a nice diameter and the right thickness. Think of the cars that get all of those absolutely spot on – seating position, steering wheel, pedals, gearbox or paddles – and the list is going to be pretty small. That sense of inherent rightness continues on the road; nothing dominates in the GT86, rather every component of the package just seems to work in perfect harmony with all the others. The car isn’t doing the driver’s job for you – indeed some would say the ’86 could help the driver more, with extra power – instead it offers you all the tools to really interact with and enjoy the experience as you wish. What the driver puts in with the ’86 is what they get out, which is why it frustrates those coming from all-wheel drive, automatic or turbocharged cars – decent pace can be maintained and enjoyed, but it must be worked at and conserved, rather than simply indulged in at a moment’s notice. Naturally if you don’t want to do that, the Toyota will never make sense. Yet how often do we hear of the joy manifest in traditional sports cars, where momentum mattered and the experience took precedence over the bald stats? Here’s a brand new one for you, a very good one actually, with a five-year warranty and heated seats. So stop whingeing. That isn’t to say the ’86 can escape all criticism, however. The engine is gruffer than Ray Winstone on a hangover, wheezing through the mid-range and never really coming alive as you’d hope, 7,000rpm power peak or not. (It should be noted our test car was barely run in, though experience of older cars suggests it doesn’t improve that much.) 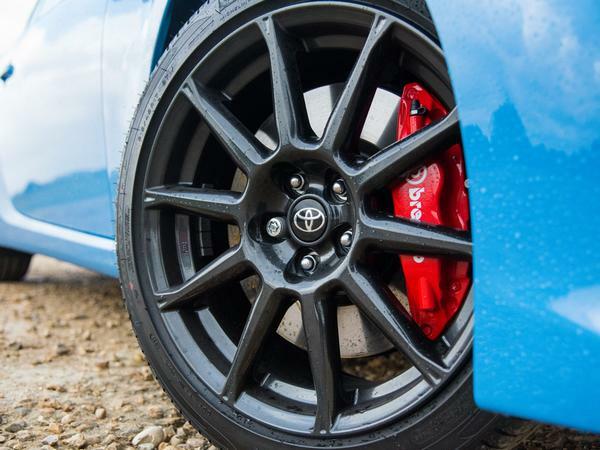 As for the £1,460 Performance Pack, it would probably take a back-to-back drive to detect the impact of the Brembo brakes and Sachs dampers; maybe the pedal is a tad firmer, perhaps the body control a little tighter. But it's much of a muchness. Finally, well, its kerbweight is only 40kg less than a 308 GTI - how exactly does that happen? There are chinks in the armour for the MX-5 to aim at then, positive first impressions from the international launch still fresh in a bright and breezy Britain. 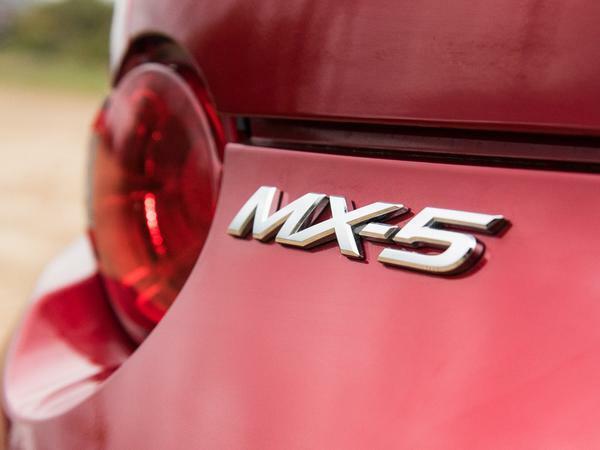 That it feels – spoiler alert, sorry guys – so much improved should not only be concerning news for the ’86, but also welcome for those of us not entirely convinced of the MX-5’s merits before this facelift. And who were met with some pretty vocal criticism as a result. This MX-5 still isn’t perfect, mind. There’s still a slight choppiness to the ride, something seemingly mismatched in the set up and the torsional rigidity that means the Mazda can be bobbling and wobbling in the UK when you need it to be more composed and level. That said, it’s better than before, and is really about as serious as the criticisms get. As a driver’s car, the MX-5 feels much more cohesive and homogenous than it did before the update. Where previously each steering input seemed to catch the car by surprise, body flopping onto its outside corner, the response is now much more incisive – you steer, car follows, in exactly the manner always hoped of a 1,000kg roadster and yet which never quite materialised previously. Moreover, while it may be a placebo of the more adjustable steering wheel, there seems a better sense of connection between that slightly-too-large rim and the front contact patches. Still not perfect, sure, but it’s another layer of dynamic transparency that was rather lacking in the old MX-5. The biggest change, as you’re probably aware now, comes under the bonnet, with the Mazda now revving higher, pulling harder and going faster. The gains were welcome in isolation, but here, against a Toyota engine which has never been brilliant, they feel absolutely fantastic. 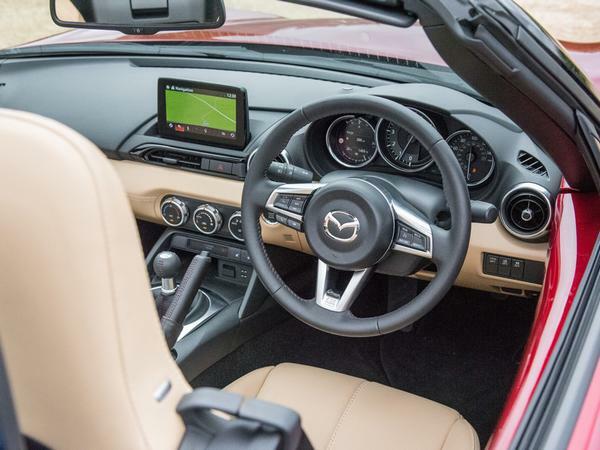 The Skyactiv-G 2.0-litre has so much energy and enthusiasm – no doubt a result of those lighter internals – that it revs with seemingly no inertia whatsoever, zipping up to that new 7,500rpm limiter with abandon. In contrast, that GT86 lump feels pretty lethargic and a tad uninspiring. However, that’s not quite the end of the story. Because whenever these cars are discussed, there are always the hot hatches to consider as well. You know, the cars that offer more power and more space for less money while officially using less fuel, the pesky blighters. Well, as luck would have it, there’s a Fiesta ST along for the ride at the same time as the Japanese pair. And yes, it has more power than the MX-5, superior torque to either, rear seats for adult humans and an as tested price way below £25k – it’s an attractive position on paper. That remains true on the road as well; it’s a different proposition to the other two, feistier, angrier and tougher, though no less endearing for pursuing a more aggressive path. The Quaife-enhanced front axle forages for traction eagerly, it feels just as fast as the sports cars and it’ll oversteer (off the power, of course) just as willingly as the rear-wheel drive cars. It remains a proper little hoot. What the Fiesta doesn’t have, against both the Toyota and Mazda, is that depth of engineering quality that makes them feel worth the extra outlay. The gearshift isn’t as slick, the brakes not as strong and the steering springy by comparison. Furthermore, while the new turbo triple is impressive (don’t forget it can run on two cylinders), it can’t match the Mazda for rev happiness and response. Not even close. At around £20k the Fiesta is probably about the most fun you can buy on four wheels; once up to around £25k, however, the Japanese pair prove what more is available. Two really nice cars. Really like the look of the MX but I have not driven the latest and also need to try an 86. They both appeal, especially the latter given the tin top and marginal extra practicality. I assume that the boxer can be lightly liberated for better behaviour but I’d love a small five or six - the extra weight would be worth it in my view for the noise. No more power necessary. Emissions make this unlikely though. The MX seems to be the better choice, especially if you like drop head motoring. Engine and looks aside the 86 edges it in terms of appeal for me but its a fine margin (and I like coupes). Great to have the choice of these two in my view. Great base and lots of aftermarket for both cars. Both these cars are tremendously appealing. And that blue looks amazing on the Toyota. Having had an NA Eunos the Mazda would be the natural choice for me, but the fact that I have a dog would make the 86 a more rational choice. My kind of cars. I’m getting a bit weary of turbo hot hatches, I quite fancy both of these as the antidote. I had an extended test drive in the pre-facelift MX-5 a couple of days ago (good things arrive slowly where I live). It was a delight on small winding backroads as long as I did not need to overtake anything and it was fine in traffic *but* on the motorway it was far too noisy and because of the limitations of seat quality and adjustability, left me with an achingly stiff left hip. The extra power of the improved engine would have been welcome (the motorway back home climbs quite steeply and was busy) but I doubt the other issues have been addressed? Having read all the reviews about the revised 2.0 litre MX-5, it's great to hear that it is so improved that you think it more fun than the GT-86. It doesn't make the 86 any worse a car but as you say hopefully will encourage Toyota to improve it even more. Slightly off topic, is the rust proofing on the 86 up to scratch? I.e. Less of an issue than on the MX-5.